Was born in 1946, in a village called Qarqarava (Doski area) north Duhok City. In the autumn of 1951, settled down with his family and completed both primary and secondary in Duhok. From 1959 – 1974 was a member of Kurdistan Student Association, later member of Secretary. In 9th July 1963 took park in (Shoresha Aylole) Kurdish September Revolution. In 1965 became a member of Duhok area Committee of (P.D.K). In 11th October 1974 became a member of Kurd Writers Union. In 1974 graduated at University of Mosul – College of Arts English Dept.Became a teacher at Brayati preparatory School in Duhok city. In 1984 became a manager of Mame Alan Secondary School – Duhok. In 1986 transferred to Duhok Evening School, because of his patriotic feeling, opposite to Sadam regime. After Kurdish uprising 1991 becomes a Manager of Industrial Preparatory Dohuk. 8th April 1993 with the first Kurdistan Government Cabin, becomes a general Manager of culture and arts in Ministry of Culture, Kurdistan region government – Iraq. 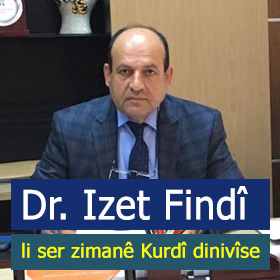 Becomes a general manager of Media in Ministry of Culture, Kurdistan region government – Iraq.Because of health condition, becomes a general manager of council in Ministry of Culture, Kurdistan region government – Iraq. Chosen as a Secretary of Kurdish Writers union – Duhok Committee. 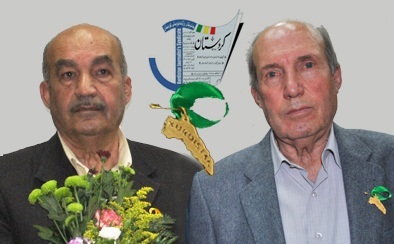 In 1984 till 1991 was a member of general Committee of Kurdish Writers union in Kurdistan Region. From 1986 till 1991 was a Kurdistan representative in Iraqi writers & literature union. 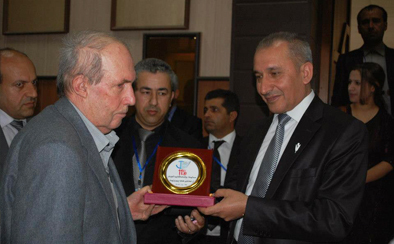 Participated in most of the conferences Kurdish, Iraqi and Arabic writers & literature union. Supervision and arrangement of (Khani Festival) the most popular Kurdish cultural festival. Participated in Marbid Festival (6th 7th and 8th). – Was a member of edition committee of Bayan magazine, which was issued by the Kurdish association and publication – Baghdad. Was a member of edition committee of Payv magazine, issued by Kurdish Writers Union, Duhok branch. Was a secretary of Matin magazine, issues 1-18. In 1997 was a chief Editor of Karwan Magazine. Issues 107- 114, was issued by Ministry of culture, Kurdistan Region. Was a secretary of Karwan Academic magazine issued by Ministry of culture, Kurdistan Region. 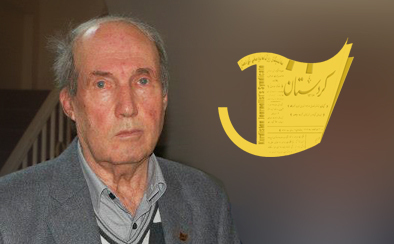 Was a chief Editor of Dijla magazine from the beginning to the end (42) issues, which was the first Latin Lettered Magazine, issued by Ministry of culture, Kurdistan. – Was one of the Kurdish Journalists Syndicate achievers. One of the achievers of the friendship committee (Kurdish, Arabic) founders. One of the achievers Art House founders in Erbil. President of the Hive of the Art committee, Duhok. In addition to many other responsibilities and tasks … His literary analyses, criticism and works about Kurdish history was remarkable in most of the Magazines issued in Iraq. Kurdish, Arabic and English are the languages known by him. Kurdish dialects and letter forms (Arabic, Latin and Silavi). 1-A Collection of Bakir bag Al-Arizee poems .collected and analyzed, 1982, (Kurdish Language). 2-Mairo,a book by Muhaamad Amin Buzarsalani, transliterated from Latin letters into Arabic letters,1985, (Kurdish Language). 3-Gulchin, a book by Ordikhan Jalil, transliterated from Akleerky into Arabic letters, 1988, (Kurdish Language). 4-September Revolution (Aylol Kurdish revolution) in Iraqi Kurdistan Region, written, 1995 (Arabic language). 5-Guide of Duhok Governorate,-with the cooperation of some other Authors, 1997. (Arabic and English). 6-Kurdish tribes in the north part of Mossel state, 1996. translated from English into Kurdish. 7- Khani Festival, prepared, 1996, Kurdish language. 8-Amedi in different eras, written by Abbas, critics and analyses Abdullkarim Findi, Mullah Hamdi Salafi, 1997, Arabic language. 9-(P.D.K) During Barzani’s Absence (1946-1958), 1998, Kurdish language. 10-The Golden Jubilee of Peshmarge. 1999. Prepared by Shawkat Shekh Yazdin, transliterated from southern into northern (Kirmanji) Dialect. 11- Barzani never gives up , 2001. translated by Shawkat Sheikh Yazdin , transliterated by Abdulkareem Findi from Arabic letters of Southern Kirmanji to Latin letters Northern Kirmanji. 12-Badinan Castle and Some of its Historical Places, 2012, Arabic language. 13-Kurdish Language in Badinan region, 2012, Arabic language, translated. 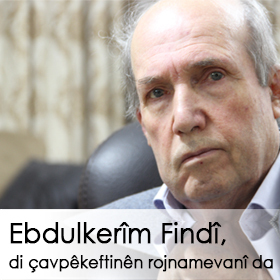 2- Interview with Karim Findi, Nubun Magazine, Issue 121, Date: summer 2012 (In Kurdish Language). 3- Interview with Karim Findi, Payv Magazine, Issue 43, 2007 (In Kurdish Language). 4- Interview with Karim Findi, Chavder Newspaper, Issue 56, 2008 (In Kurdish Language).